KDE Moving and Resizing for Windows XP, 2K, 2003, Windows 7, and Vista. Move and resize Windows windows just like Linux Windows! ESSENTIAL! Move and resize Windows windows just like Linux Windows! An essential add-on for Windows XP, 2K, Windows Server, Windows 7 and Windows 8/8.1. Here is a page about my KDE Mover-Sizer. Okay, it's not entirely mine, not even mostly, but I've added enough code to call it mine, and it's too damn essential to not have a page of its own somewhere, so here it is..
KDE Mover-Sizer is a background application that emulates the behaviour of KDE, which is a rather good Linux desktop environment. Actually, Gnome and other Linux window managers also do it these days, but that wouldn't make for such a funky name. Essentially, you hold down the Alt key, and Left-click to move a window, Right-click to resize it; and from anywhere inside the window. That's it. And once you use it for a few minutes, you'll wonder how you ever lived without it. The utility itself is coded with AutoHotKey, originally a fork of AutoIt, and highly useful in its own right. The original script (which I snaffled from the AutoHotKey forum, the best of many similar scripts) did all the above, but was missing something essential, that is; window snapping. So I added that, and gave them it back. The window snapping is important for at least two reasons; 1) it enables you to place a window, as if by magic, exactly at the edge of your desktop. If, like me, you like to keep your main document windows in the centre of your screen, and leave lots of folder windows open up and down the sides of your desktop (I have a widescreen monitor now, which makes this even more effective) then you will find it invaluable. And 2) it enables you to resize the window from the edge of your screen. This is easier to do than to explain, though I'm going to attempt that anyway, with a couple of how-to style tips.. I've gotten into a couple of habits thanks to the KDE Mover-Sizer. The first is a quick one-two action where I first Alt-Left-click a window and throw it roughly into place (off the edge of the screen), and then do a single Alt-Right-click to snap it back into perfect view. I've already had a week-off with all the time this good habit has saved me. The new version can also snap directly to the edge during regular Alt-Left-Click moving - so long as you are within the snap distance, it will lock against the edge of your desktop. You can also constrain movement along the X or Y plane by holding down the<SHIFT> key, very nice! The second habit of one of resizing windows from the edge. First, I get them there, as in tip 1, then I grab a corner (anywhere in the quadrant is fine) with an Alt-Right-click, and drag-resize them while the two opposite edges (one of which is bang up against the edge of the desktop) stay put. This isn't so much a time saver, as a sanity saver. I'm very particular about the amount of white space that shows in folder windows, and it they don't look right, I couldn't leave them open. Leaving them open is what saves time. Another thing I've started doing, is sliding windows up and down the edge of my desktop by Alt-Left-click+drag (at the very edge of the desktop). The snap keeps them from moving left and right - it's like they are on rails! Very handy. And remember, it works on windows behind windows, too, and without bringing them to the front. You need to play with it to fully appreciate the beauty of KDE Mover-Sizer. Fortunately, I have a precompiled Windows executable which you can simply download and run. There's no installer, and it doesn't use the registry. The only settings are in a regular plain text ini file, which lives right next to KDE Mover-Sizer.exe, so it's completely portable. When running, a cute tray icon enables you to exit, if required (unlikely! ), as well as a few other options. Drop a shortcut into your startup folder, and then you're cooking with KDE! KDE Mover-Sizer uses very little resources to work its magic, and works on all desktop windows, even windows that aren't at the front, even those daft fullscreen installer windows. It will even sneak inside a Sandboxie and work there. It also enables you to resize windows that don't normally allow resizing, which can be a real bonus with certain dumb dialogs (cough *FirefoxSearchPlugin* cough). In no time, it feels perfectly natural, and you're throwing windows around with a whole new level of precision and abandon! Like I say, I "couldn't live without it", and I'm fairly certain that if you use it for a wee while, you will feel the same way. At any rate, it's free; so why not try it and see.. NOTE: Multiple monitors are now supported! Thanks to some sterling work by Matthias Ihmig. While I'm about it, the next time KDE Mover-Sizer saves you time and sanity navigatin' your mouse to a 1 pixel wide border or incy title bar or corner handle, feel free to whisper "Thanks Bud!" under your breath to the following good people who all had their grubby mits on KDE Mover-Sizer at some point.. If you want to check out the source (with fuller credits), perhaps customize it to your own requirements, even add some new feature and your name to the above list, or whatever, the code is freely available, here..
p.s. KDE Mover-Sizer works inside a Sandboxie sand box, without having to load a separate instance. KDE Mover-Sizer also works inside CoLinux, e.g. Portable Ubuntu. In fact, it would be quicker to list the places it doesn't work, if I knew of any. Okay, I finally got around to putting comments on this page. Hopefully this should cut down on mail! Great new update today, tell all your friends! cool icon! Thanks for the new release! Agreed about the icon! I won't complain! I wanted to comment to say thanks for multi-monitor support! I'm about to play with the new version. Thanks again! Thanks guys! Yeah, that's the final icon now, I swear! 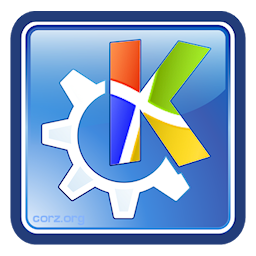 Hopefully it should be close enough to the original KDE icon to be recognizably "KDE", but different enough not to clash with other apps that use it - being the standard KDE Krystal icon - who would be lazy enough to just use that, eh! By the way, if anyone reading this is a member of one of the (many) forums where there's a link to here, they would thank you for letting them know about the update, I'm sure! MultiMonitor support at last! Very nice new version all-in! Good Work! Luvvin the new version! I like how it snaps when it moves now. Suggestion: it would be nice to see something written up about the new "special" features. Thanks for a job well done! * The "magnetic resizing" is actually the original snap-on-resize algorithm from cor. It allows to resize while keeping the window snapped (drag slowly to see the difference). The new "normal" snap-on-resize is much less spectacular and handles similar to snap-on-move, still I find it useful on multi-monitor setups. * The "Resize restores maximized window" is not related to snapping. When enabled, a maximized window is restored to its original size, before resizing. When disabled, a maximized window starts resizing from the maximized width&height. You'll only notice the difference when you resize a maximized window. WOW! Software CAN change your life! HUGE thanks!!! I know just what you mean, Janice! Thanks for that, Matthias. I'll likely drop that text, or something very like it, into the page proper, hopefully before these comments slip away. I came across another site last week (foreign) with a cute video of KDE Mover-Sizer in action. However, no one, yet, has a video of the new version working, especially working across multiple monitors (is desktop recording across multiple monitors even possible? Why not!). If this happens, I hope I find out about it. I might even add it to the page! Coming over from linux this was an absolute lifesaver!!! Thanks to all involved! I don't know what I would have done. Wonderful program this. I've been using it for awhile and after the latest update... even better. IM TELLING ALL MY FRIENDS!!!!!! Great great great script. excellent from quickly controlling windows without having to go to click some damn little icon buttons. Why isn't this integrated in Windows ?! Finally I am free from hunting borders and icons...Thanks so much! Thanks for this script ... if you owed windows 7 to me like microsoft says, then we wouldn't need this script. But, since microsoft should do more thinking (and listen to me...), I'm glad you've update it for win 7. Hi, I love this little program. However, I'm having a problem in Windows 7. The Hotkeys stop working after a few minutes. They start working again if I right the program icon in the taskbar and disable and the enable hotkeys. Do you have any idea about what is causing this? As I said, I'm using Windows 7 and usually have dual monitors, but I've also tried it with a single monitor and the same bug happens. Is there a workaround or a way I could at least restart the program or hotkeys from the command line? - google autohotkey instead of KDE mover-sizer with your problem. Maybe you find a hint, as this seems to be Autohotkey related. If you find a solution, feel free to edit the source code and test it. - you could try to run kdemoversizer as administrator (right-click runas) and see if the problem persists. Unfortunately, it interferes with any application that uses Alt as a modifier, for instance Photoshop, 3ds max (just happen to be running while I'm trying your KDE mover-resizer). So, is it possible to limit the snapping functionality so it doesn't work anywhere (I know it's supposed to be a feature), but only when dragging the windows' borders and title bar? Best regards and thanks for making this app. If it still doesn't work, you would need to download the source file and change to Alt modifier to Win for example. Meanwhile I'm doing exactly that. Alt-Win-Click works out well but I'm having a hard time grasping the behavior of Resize: If I drag RButton downwards, the upper border of the window can eventually go beyond the screen - am I using it wrong? Back to my original question, wouldn't it be a nice alternative mode ("stealth extension" so to speak) if the snappy movement and resize is simply the default for dragging windows 'regularly'? We would be improving the default behavior for essentially zero learning curve (which even simple hotkeys have). Sorry for the wishful 'requests', I'm just not yet fit enough in AutoHotKey to code it myself, or even to know whether that's possible (manipulating mouse actions without modifier keys, that is). @ycchen: not sure I know what you mean exactly, but try switching off "Special > Magnetic resizing" and see if this answers your question.. I'd often wished for this, I don't know why I didn't Google it earlier; will be letting everyone I know who also suffers that it's a solved problem. My only complaint: Where is the donate button? I love this thing. However, I've been trying for like 4 days now, to get it to minimize on alt + double right click and restore/maximize on double left click. Can somebody please help me ? It's Incredible!!! Many problems solved with this little program. Microsoft must to have shame!!! Wow, I often thought about how to get this KDE behaviour work in Windows. This is a very great script. I like it. Unfortunately resizing doesn't work on putty windows. This is a great little app! Any chance of making modifier configurable so that left-handed mouse users could use right Alt instead of the left one? I did tried editing the source but couldn't figure out what to change in order to change the modifier. A wonderful program especially for netbooks with low resolution - thanks for giving it to everyone! A wonderful program , but press "Alt+mouse button" is same to ProE to rotating, zooming, panning the viewport, so anyone knows how to change the "Alt" to "Ctrl+Alt" in "AHK" file? @Boza: Try Alt+Win-key instead and see if this solves your problem. Otherwise, add "^" in front of the "! :" in the AHK file. Not sure if this enough - didn't try it. then use Ahk2exe.exe to compile it. You have saved my netbook! My screen is less than 600 pixels tall and a ton of windows are way bigger than that making my life hell. Thanks to this I don't have to guess where OK buttons are anymore! Just started a new job where I must work on Windows, after years of 99.9% Linux. This small piece of software make Windows almost useable, and therefore helps me stay sane. Er, less insane. This makes life much easier for me, as I'm constantly grappling with Windows to recognize my cursor as in the exact pixel that makes the window resize arrow show up. My only issue with this is that I use an alt-click keystroke in Photoshop a lot, so I constantly find myself moving the Photoshop window instead of sampling the color (which is what the action does in Ps - I can't find a way to change it on Photoshop's side). My request is for a toggle or user-defined keystrokes to move or resize the windows, or a way for keystrokes to be disabled while certain programs are in focus. Unfortunately, I'm absolutely hopeless with coding, and kudos to you (and everyone who contributed code) for making such a useful program in pretty much every other respect. I have add to your code ability to define hotheys for moving\resizing\maximizing and minimizing window in ini, because I think it will be usefull. This is the best thing I saw in days. You are my heros!!! Windows windows are less annoing now. Thanks! Does KDE Mover Sizer work with a track ball mouse? Excuse me for asking such an ignorant question in the previous comment. I'm actually having issues with re-sizing various windows and boxes using your app. One application in particular refuses to respond to you app in any manner. That pragram is TUT - The Ultimate Troubleshooter ver. 4.92. I have re-loaded your app several times in hopes that would solve the issue but it doesn't. There are other dialog boxes and or Windows information "boxes" that also don't respond. I am operating three brand new computers, each running Windows 7. One computer is a Mainegear unit, the second one is a HP notebook, and the third is an HP desktop. All three show the same response to your app. Any ideas - please. Your app is ABSOLUTELY required! @Brenco: If an application does not respond at all (neither move nor resize), it can be that it was started with a different user. For example, if you start KDE-Mover-Sizer as standard user, you cannot move/resize any application started with administrator priviledges. If you want to do this, you have to also start KDE-Mover-Sizer as administrator. C:\Windows\System32\runas.exe /savecred /user:administrator "C:\Program Files\Utilities\KDE Mover-Sizer for Windows\KDE Mover-Sizer.exe"
What other programs / dialog boxes do not respond? Very nice work, indeed!! I found a lot of forums on the Internet where they say that there's no solution for this problem (that is, moving upward a dialog box enough to be able to click on a previously unavailable button, even if the title bar is no longer visible). Your smart tool shows the opposite! This is brilliant -- it makes using Windows bearable! Wonderful app However, I am having problems making it play nicely with Synergy. I have the Windows computer as a client to an Ubuntu host computer, and when trying to do e.g. the Alt+Left click move, nothing happens. @eddie: If you're using Gnome or KDE, they grab the Alt+Click commands for moving&resizing their own windows. You have to either disable this in KDE/Gnome or change the trigger keys used for this (either in Ubuntu or in the KDEMover-Sizer sourcecode. THANK YOU very much for the tool, it makes my life much more easier! Until today, I used Windows's "display rotating" to program my DVB-T recordings because the window was too large. It was really circuitous. I like the program, however when I m moving window which is in background it stays in background (at least in Windows 7). Is there any option in ini file to set this up? When start moving or resizing place the window on top? If I need it, I usually use a "click+alt+click" to bring it to foreground. And I use it on my home-PC without any problems, but I have an issue with your app on my work-PC, that is running with Win 7 (64 bit) for the first time. Interestingly enough this is the same OS that I use on my home-PC since about one year. Maybe you have an idea how to resolve this problem. But anyway, KDE Mover-Sizer is a really great tool. I'm using KDE Mover-Size for a long time now, about 3 years, and decided to donate for it. I love this little peace of software, it's fantastic. @Salazar: I haven't experienced a delay like that on a number of machines. Looks like it is some special software that slows down Autohotkey. You could try to google your problem description with the keyword autohotkey instead of kde-mover-sizer, because your problem may affect other Autohotkey programs as well. Let us know if you found a workaround! Snapping to the desktop boarders is fine but could you also add snapping to other window borders? I liked to use "All snap" but this doesn't work when resizing with KDE-Mover-Sizer. Thanks for holding the fort, Matthias! I forget about this page sometimes, though I do still use KDE-Mover-Sizer thousands of times every day. How about add original autohotkey 'reload ini' for tray icon since we may load some other scripts and sometimes need to edit it. Please note: this tool only works on windows running in the same user context as itself. If you e.g. start putty with administrative rights (for what reason ever...) it cannot not be "catched" by the KDE Mover Sizer (when started without administrative privileges). Moving does work, but resizing doesn't work for me as well. I guess it's because Putty uses a special routine to always fit a multiple of whole characters. What version of Putty are you using? And does resizing also work for you? For all those lefties who use their left hand for mousing, it would be nice to be able to switch to a hot key on the right side of the keyboard, preferably AltGr. It's easy to create your own custom version of KDE-Mover-Sizer.. Replace !LButton::, !RButton:: and !MButton:: with <^>!LButton::, <^>!RButton:: and <^>!MButton::, respectively (for further information, see the AutoHotkey Hotkeys documentation). compile the result with AutoHotkey. TADA! In case that sounds like too much of a challenge, or simply too much bother, I went ahead and made one myself, it took under a minute, including upload! You can get it here. I note they seem happy enough to run at the same time. This makes Windows so much better! Unfortunately, it doesn't seem to work on Windows 8. I might try to fix that myself, but it'll be some time into the future. If anyone else would like to hit that, I would be happy as a pie. I've noticed the same thing on my new Win7 machine at work, did you ever find a fix? If not, this is just a "me too" and I'll try some things next time I get admin on my box. My Win7 at home doesn't have the same behavior, FWIW. The new PuTTY version (0.62) can now be resized by KDE Mover-Sizer. So if you miss hotkey resizing, upgrade your PuTTY to the latest version. Hey @eddie, you are right. Synergy (latest) seems to break KDE Mover Sizer when it is running (at least when it is running as a service). I tried going into Synergy options and found that by changing the mode to 'desktop' (legacy) and not 'service' seemed to resolve this. woot! right? after setting to legacy, exit all synergy progrmas, and restart the Synergy service in windows 8 and it -should- be all set.. I've got a bunch up and cant reboot at the momement to test if this is a solution.. you try, and let us all know , cheers. Is there any possibility to resize a window without showing its content? I mean in windows theres an option "show window content while dragging" and when disabled you only see a border if you resize a window and after you released it, the window content is drawn. I need this because in Applications with massive UI or slow CPU (netbook) it can get really jerky because of permanent redrawn of UI and this simple method would solve it. Disregard my last post please, because I read some of the old comments and I decided to give it a shot and change the source file, and guess what: it worked! Your script is really great! This is just awesome !! Forget about the downright corner of a window to resize it or move it. Are you aware that KDE Mover-Sizer.exe gets reported as containing a trojan by several engines? Nah, it acts as a nice filter. Anyone daft enough to think KDE-Mover-Sizer contains anything malicious doesn't deserve to use tools this cool. Also, it helps folk figure out which AV are truly brainless, which is actually most of them. I really love this in combination with windowpad! One thing I thought about is that when you move a window to the right half with windowpad and want it to increase in width with move-sizer you also accidentally change the height cause you can´t move a perfect horizontal line with a mouse. The cool thing about this would be like in Photoshop. When you move something (click + move) and hold Shift, all diagonal movement is blocked. You only move it horizontal and vertical until you release shift. So you grab the left side of a window, hold shift and now you can only move horizontal. In my all day experience the horizontal movement is the most important. In fact, that's already crossed my mind! It's on my 2do list! Trouble is, I already have a version of KDE-Mover-Sizer waiting to go out, courtesy of Matthias, but I've been having some incompatibility issues between it and MacroExpress. It's got to the point where I'm fairly certain that it's MacroExpress, so I'll probably drop it here in the form of a beta pretty soon (I have a lot of updates to go up in the next week or so). windowpad looks interesting. I've been using MacroExpress for years, for doing exactly this, and much more (and now in 7, I also use ShellFolderFix to compensate for Windows' dreadful forgetfulness). But MacroExpress is becoming less and less compatible with each version of windows, and the new pro version is a mess. It's often crossed my mind to write my own version with AutoIt/AHK. This may save me a bit of work! By the way, the term is "constrain". No, unfortunately, there is no possibility (yet) to resize a window without showing its content. KDE-Mover-Sizer uses WinMove, which updates the windows immediately. You could move this WinMove out of the Update-Loop, which exits when you release the mouse button. But then you would need to draw your own lines to see the current size&position of the window. "Are you aware that KDE Mover-Sizer.exe gets reported as containing a trojan by several engines?" Yes, this is a problem when using the Exe Zipper UPX on the compiled script. As the zipped Exe has 220kB and the unzipped Exe (only) 450kB, I would also vote for not using UPX in the future. Update: I added a function to move and resize the window without showing and sent an updated version to Cor for testing. As soon as he finds some time to test and update this page, and if there are no obvious bugs, I'm sure he'll put it online. Apologies for the missing comments! I had a bit of a accident last night and it seems these comments (and only this page!) somehow escape the backup process. Of course, it's only when you go to use backups that you spot these things. I'm piecing them together again from my post dump script and google cache! Matthias, feel free to add any bits I forgot/missed! ps. also note, no UPX this time, though also note this has nothing to do with the above-mentioned (backward!) reasons. UPX is still a great way to tell which AV software is completely crap, but sadly does not support 64 bit apps. @cor: Just checked - all looks fine! Feel free to share your opinion here! Found a solution for a problem when using KDE Mover-Sizer (v 2.8) with Synergy (v 1.4.12). I have KDE Mover-Sizer on my main PC running Windows 7, and it works wonderfully. But when I ran Synergy on my main PC as a server, KDE completely stopped working on my main PC. I turned off the "Elevate" tick box in Synergy on my main PC and voilà, KDE works again! Pretty simple fix, but hopefully if someone runs into the same issue and googles it, they'll find this. Millions of thanks for it. New release out today, with the option to hide the tray menu icon, if required. You made my day, Thanks for such a great piece of software. Running on Windows 10 like a charm! Would it be possible to add a minimize function at some point? Maybe even maximize and restore by double clicking anywhere in the window? Hey, this is an awesome tool, love it. But the background scroll feature (which is great) messes up scrolling in Mozilla Thunderbird (nowhere else as far as I can tell). While enabled, it scrolls about a dozen pages with just one move of the scroll wheel, both in foreground and background. My system is Windows 8.1 x64. It's not a huge problem, but still a bit annoying. If you had the time to look into it, that would be nice. If not, no big deal. Anyway, it's still one heck of a useful program to have, thanks. Very nice tool! I am forced to use windows 8.1 and I'm trying to do it more like kde. Could you add the window roll up function by clicking on the title bar with the right button, in a future release? If rool-ups ever did get added, we wouldn't be using right-click on the titlebar to activate them - that's how you bring up the App menu! Alt+RightClick on TitleBar would work. Truth is, I'd not considered roll-ups,. not being a fan, myself. But if someone wants to code that up, I won't stop them! Hi, KDE mover is awesome, but I have some little problems. when I "add windows to ignore list", it's not completely ignored. Per example in Photoshop the Alt Key doesn't work correctly even if I add the software to the ignore list. So i have to disable "KDE Mover sizer" any time I want to use photoshop, in order to photoshop work right. Is there any solution? thanks Fernando. Firstly, ensure you are ignoring the correct window! A trick I use for the odd occasion where the Alt key is meaningful in an app is to use Win+Alt+key. Love this utility. Works like a charm on my home PC. On my work PC, it has an issue. When I hold ALt, I have to wait about 3 seconds before it allows me to move/resize the window. Like some kind of delay. Is this a known issue? Any way to fix it so it's immediate, like how it works on my home PC? Both PCs are running windows 7. No, "not working on work PC" isn't a known issue! But if you let me know what your setup is at work (how it differs from your home PC), I could look into it. However I now have a different issue. "151 hotkeys have been recevied in the last 1217ms. Do you want to continue? (see #MaxHotkeysPerInterval in the help file)"
I have checked the .ini file but found no reference to the "MaxHotkeysPerInterval" mentioned. I have tried adding it and setting the value to 500, yet still got the error. Admittedly, it is not the biggest issue, but does get get in the way when trying to scroll long documents/websites as I have to click "yes" every time it comes up. I can't see any reason why it should need to stop me. The default is 70 events, KDE Mover sizer sets it to 150 specifically to avoid this message! This message used to happen to me a fair bit, too. And I was about to increase the value myself when I realised that this would be a mistake. It was ME that was the issue. I fixed that, and haven't seen the message for over a year! Scrolling long documents is inevitable in modern life. However, scrolling long documents all the way through using the wheel is just not efficient. I realised that mostly I wanted to get to a particular part of the document and I was being lazy not taking my finger off the wheel to navigate there directly. Sadly, not all document apps (web browsers, for example) have a context menu for their scroll bars (like Explorer does), but there are usually still far more effective methods of getting to a particular part of a document (Ctrl+End come to mind). and recompile your own version, but first perhaps consider different approaches to your document navigation, keyboard shortcuts and so on. I encountered one little issue; if you apply the size changing action (ALT+Right Mouse Btn) on the desktop in Win10, it changes the desktop. But except that; Perfect, exactly what I was searching for! Thank you very much! Great news! That's almost a reason to upgrade to Windows 10! Hi Cor, I think the best option is using the Left-win-key. It works like a charm without having to add any windows to ignore list. Using it in Windows 10 Pro, it's working pretty good. Thank you. You can Alt+Click document windows INSIDE photoshop! AMAZING! Aye, I know, we should add it to the features list! Could you add snap ability to, one day, to be used in same time, when move/resize action is done, maybe in 4 or 6 directions? On 4 or 6 places where mouse cursor touching edges of screen. It's become, now, new dream for this1 win 7 user :S Help, help! Ty for your time and work. I also have the problem that I binded the Ctrl to my mouse (for zoom in most applications) and so I also use ctrl here. This works fine, except for Photoshop. So my idea was to make a maximum delay for KDE-MS. If you hold ctrl for more than 1 sec (adjustable in options) it will release and you can use ctrl in your application. So If I would hold ctrl in photoshop and wait a sec I could use it there. For window resizing I normally don´t need more time. I think that in older versions this worked, because the problem with photoshop is since never versions. On Win10 64bit (newest, november Update) in some Applications it is not working. For example regedit. All is working on my comp. Could you be more precise ? What applications ? yes, regedit.exe (you know :-)). Also I wondered that notepad++ was not resizedable with our beloved script. Then I startet it explizit without admin rights and I could resize it. I also set autohotkey.exe to admin rights and voila! It works with regedit! Dear diary, today I learned: Set autohotkey to Admin rights! I have got just a problem. When connecting to my Remote desktop via Teamviewer, I can not resize any window. Could you have a look into this problem? thanks in advance, and heads up! I also use a wonderful software called "Input Director" (its the grandfather of mouse-without-borders) to use two Desktops with one Equipment and it´s also not working. But I believe that it will be not possible to "transport" the keys through a remote software. But I´m interested at this. Would it be possible to allow moving windows WITHOUT having to click the mouse? For example, press ALT and move the mouse to move the window under the mouse. Press ALT+CTRL and move the mouse to resize the window under the mouse? For laptop trackpad users the "CLICK" is often very awkward. I used to use a Mac OS x app called Zooom/2 (http://coderage-software.com/zooom/index.html) that would allow moving this way. Also, instead of using ALT, would it be possible to use the "fn" key found on most Windows laptops? At the moment not. If you delete the mouse key in the ini, it stops working. In my tests with solid tools for keyboard remapping, they all not recognized the fn key. So it seems that there is no signal leaving the keyboard and the logic happens inside the keyboard. @ryan: Chromax is right - FN cannot be used as mouse click. Then hold down Alt, press space and move the mouse. it works great with my mouse, but not with my wacom intuos 4 graphic tablet (Win7 64). the suggested script at the bottom doesn't work either. anyway it would be much more elegant to integrate tablet function into KDE-mover-sizer, as it seems to be an already working powerful solution. thanks to everyone coding these things. I appreciate all the work, and loved the router scripts, I even miss the router because of your "arse", ahem ... application. Great website too, fresh, orangey.. Many MANY thanks. Extremely useful. Neat. I use this to move and resize full-screened Firefox windows to have them be borderless. Is it possible to include an size-to-fit feature into this program like Windows offers? I. e. if I drag the window off to the side, I want it to automatically resize to fill exactly half of the screen estate, or one forth if I drag it further up from there. @trace: A feature like already exists. It's mentioned in a two-liner in the About-Box ("quick-fit"). It divides the screen into a grid and positions&resizes the window depending on the mouse location. If you don't find the two-liner in your about-box, please download the latest version. that is awesome. I did find the tiling/grid feature, but did not bother to read the about pop-up. It does exactly what I want it to, and after literal years, I have finally found a way to make borderless browsing work. Is there a donation option or some other way through which people can support the project(s) here? I always get a modal message window when I scroll with my mouse wheel very fast. 151 hotkeys have been received in the last 1703ms. (see #MaxHotkeysPerInterval in the help file)"
I already tried to set the MaxHotkeysPerInterval, but it didn´t worked. I assume, this only happens when you have the Special Feature "Mouse wheel scrolling on inactive Windows" enabled. To which value did you set MaxHotkeysPerInterval? It's strange that setting the MaxHotkeysPerInterval to e.g. 500 didn't help. The message box should not show values smaller than what you set. Otherwise, the setting wasn't applied. Still, 150 mousewheel events in 1.7s is quite much. Do you by chance have a mouse utility/driver which does some "scroll wheel acceleration" and increases the scroll wheel events when you scroll fast? If yes, it seems this implementation is wrong or badly configured. Try to disable that acceleration. Does the message appear on all windows/programs, or just on programs which take some time to scroll, e.g. when they implement something like "smooth scrolling"? In that case, you could try to disable "Smooth Scrolling" in Windows or any other animation done during scrolling. You could also try to play around with the FocuslessScrollSpeed parameter, but don't think this will solve your problem, because it will also affect slow scrolling. It is possible to set Super key (windows key) instead of alt key? Edit: I've done it by myself. thanks a lot! Thanks for making this, i combine it with peek through, and do stuff like transparent always on top video watching while doing other activities as well as this being very helpful when it comes to computers using a higher DPI as well, i've had a lot of scaling problems where the title bar would appear outside the bounds or i couldn't see the bottom of some windows where the buttons and choices were, but now that i can resize and drag from anywhere on the form its not an issue anymore, leave it to great devs to fix all of windows 10's crappy flaws!. I love this but I'm surprised that you do not advertise the 'Enable Mouse Wheel Scrolling on inactive Windows' (in the 'Special Features' submenu) since there are many people that want that linux feature in Windows - ie. Katmouse, AlwaysMouseWheel, Mouse Hunter, X-Mouse Button Control, Wizmouse & about a dozen more! I have started using 'KDE Mover-Size' as a permanent mouse wheel scroller to replace Katmouse, which I have used for many, many years. However, I can not make the tick remain after reboot/reload. I see there is an ini file but I can't find any information here about ini settings. Is there a way to have the option enabled after a reboot? This sounds like a permissions issue - KDE Mover-Sizer can't write to its ini file. You might want to run KDE Mover-Sizer as Administrator (Properties » Compapatability » Change Setting for all users). This will enable you to control all the windows on your system, which is preferable, anyway. Failing that, you could edit in the preference yourself (in the [special] section)..